The Apple Watch has arrived, bringing the latest in wearable technology to wrists everywhere. But what does this device, which some call "revolutionary," do that we haven't already seen before? Some critics say the smartwatch doesn't bring anything groundbreaking to the Apple ecosystem, and actually costs consumers hundreds (or even thousands) of dollars for nothing more than the convenience of displaying push notifications without having to pull out their iPhones. 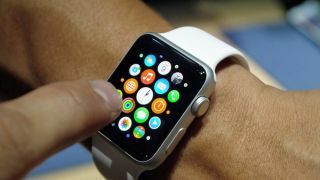 TechRadar has dived into the utility of the Apple Watch at some length, but there's a bigger question for tech geeks to consider: what does this wearable mean for the future of iOS devices? There's one Apple Watch feature that's already rumored to be making its way to the iPhone 6S. It's called Force Touch, and it just might be the Apple Watch's most underrated feature. While the Apple Watch has plenty of features to distinguish it from smartphones and tablets, the biggest difference (aside from its form factor) is found in the controls. While iPhones have been getting bigger, the Apple Watch can come in a frame as small as 38mm. That's forced Apple to rethink how users interact with the device, beyond just swiping and tapping. Part of the solution to the screen size constraints appears in the form of the "Digital Crown" - a home button and dial combo that handles scrolling and zooming as well as fine adjustments. But Force Touch is an even more innovative control mechanism at play on the Apple Watch. Since the display is so small, Apple made its watch capable of sensing whether a user is tapping the screen or pressing down. It's what makes it possible for app developers to offer a lot of content without cluttering the screen with buttons. Force Touch can be used to customize the watch face, create a new message, or bring up contextual menus in a variety of apps. It's a simple but effective feature that Apple has already put on its 12-inch MacBook and 13-inch Macbook Pro, and it could make the cut on future iPhones, like the iPhone 6S and 7, and even iPads. Force Touch may be an innovative way to control a device without adding more buttons, but it also creates an interesting opportunity for developers in designing apps that work with the new control mechanism. Booking.com's Booking Now app, for example, lets users select the best hotel from a list of nearby results and book using their Apple Watch with a firm press of their finger. "Force Touch is a really interesting extension to the language of gestures which the iPhone has helped define in recent years," said Stuart Frisby, Booking.com's principle designer in charge of the user experience for the Booking Now app for iPhone and Apple Watch. "What is most interesting about it is how natural a gesture it is, and how intuitive it feels in usage. We've long had machines which respond differently to different levels of pressure, and so unlike some other parts of the gesture language where users are performing these gestures for the first time, Force Touch feels right on the Apple Watch. "Having this technology extend to laptops will further cement this as an established interaction pattern, and as designers and developers we always welcome new ways for people to interact with our apps." Evernote's VP of Mobile Products, Jamie Hull, says the Evernote Watch app uses Force Touch to deliver the core features of the company's popular iPhone app in a way that works for the wearable. "Force Touch allows the two core functions of Evernote for Apple Watch - new note creation and search - to be accessible from anywhere within the app," she explained. "Users can easily capture a quick thought or find a different note without having to navigate back up to the home screen."